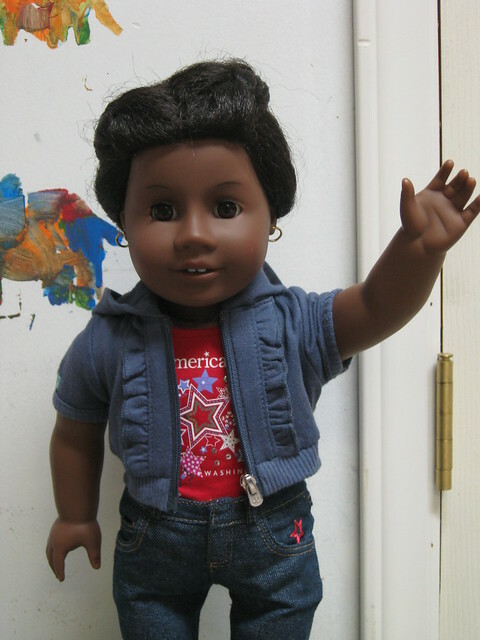 This is my doll: Aduke Uhura Chikezie, a modern-day descendant of Addy Walker. She tells Addy's story at Civil War re-enactments while dressed in historically accurate clothes -- otherwise known as Addy's meet outfit and Christmas dress. 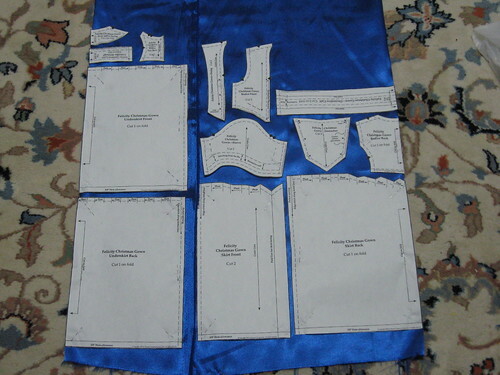 :D (When I can afford the fabric, I'm going to sew her the school outfit as well.) The rest of the time, she wears modern clothes. 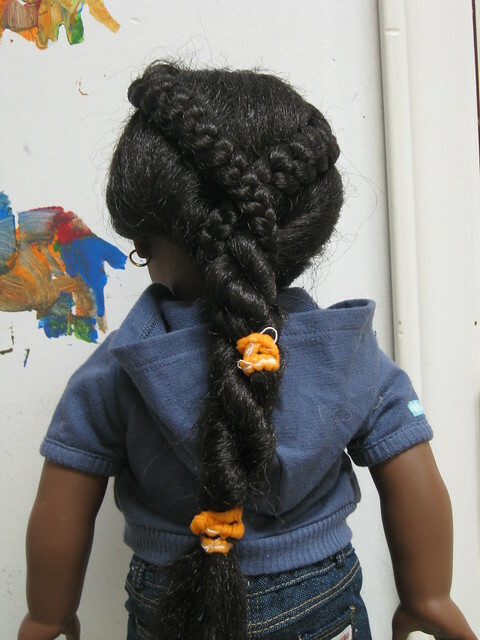 I'm extremely proud of Aduke's hairstyle. I'm a crew-cut Whitey McWhiterson myself, and this is easily the most complex thing I've ever done with any sort of hair, let alone doll hair. Sadly, all my photos of Aduke/Addy in her historical outfits are crappy and badly-lit, and right now I'm too tired to change her clothes again. In a few days, though, she's going to have a cosplay outfit for another ancestor of hers -- a free, relatively upper-class girl of color from the Revolutionary War era. :D I haven't done all the research to decide on her name and exact background yet. I plan to keep adding to Aduke's family tree as I accumulate more outfits from different periods of history. But right now, it's late and I'm going to bed. 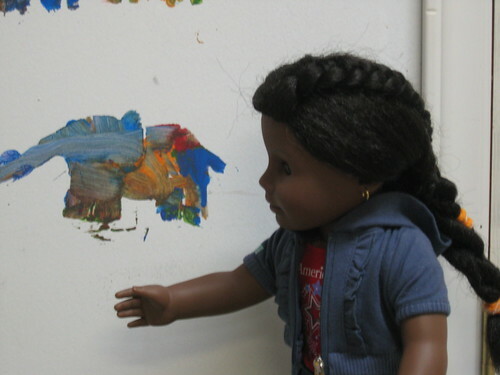 Wave goodnight to the nice folks on the other side of the camera, Aduke!